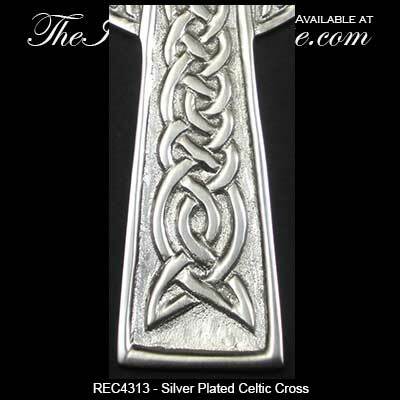 This silver tone Celtic wall cross features a satin nickel finish along with a Celtic knot motif. 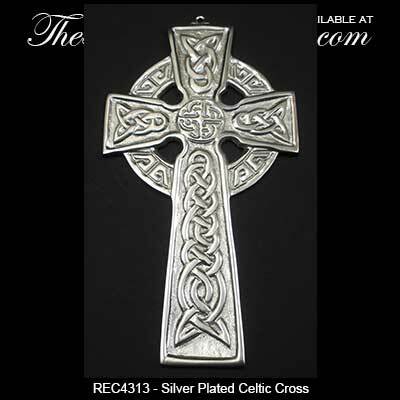 This Celtic wall cross is made in the United States. 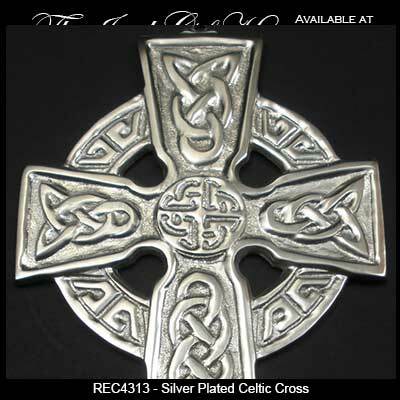 This Celtic cross features a satin nickel finish over solid brass and is enhanced with a Celtic knot design that includes the Trinity. The silver Celtic wall cross measures 3.5“ wide x 6.5” tall and is gift boxed with Celtic knot and Celtic cross history cards that are compliments of The Irish Gift House.